The course weaves through undulating terrain and features palms, ornamental trees, shrubs, seven saltwater lakes, strategically placed bunkers and generous greens. The course opened for play in October 2000, its iconic clubhouse in the shape of a falcon with outstretched wings underwent a refurbishment for last year’s event. 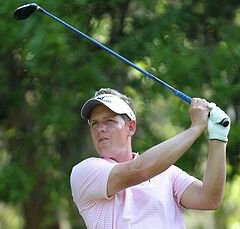 The double order of merit winner Luke Donald 12/1 will be looking to get off to a flying start and who would bet against one of the most consistent performers of 2011 who added ‘winning’ to make his nickname ‘plodder’ redundant. 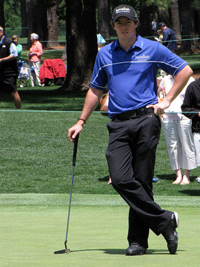 This will be one of the few events that Rory McIlroy 13/2 tees it up on the European Tour this year after taking the option of playing on the PGA Tour. If he is to make the Ryder Cup team he will need to make the most of the events he is playing on the European Tour if he isn’t to rely on a captains pick. This is going to be an interesting year for Tiger Woods 17/2 and one where the pressure will be on the fourteen time major winner. 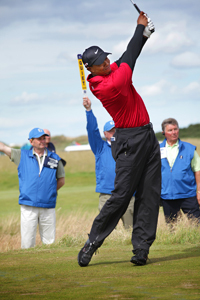 Will the swing hold up, has he still got it, will he win another major or surpass Jacks record haul, all this and more. He may have lost that aura of invincibility but you never lose talent and I think Tiger will have a good season, but not a great one, that will be next year!! 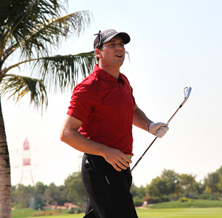 Sergio Garcia 25/1 was in magnificent form at the back end of last year and will be looking to repeat that form. Back-to-back wins at the Castelló and Andalucía Masters and the 9th place finish at The Open Championship were some of the highlights of the thirteen tournaments he played in and only finished outside the Top 25 three times. Its hard to not include Brendan Grace 45/1 who is on a great run, two wins on the spin will see him tee it up in confident mood. Will he go three on the bounce? Probably not, but I can see him challenging and these odds offers a good each way bet. Jaco Van Zyl 66/1 has played great in the two events his played this year finishing in the Top 5 both times and with two good final rounds, which shows he can perform under pressure. Add that to finishing in the Top 25 in his last seven tournaments at the back end of last season and you can see the South African is going to land his first European Tour event very soon.